Why is Comcast talking to Buzzfeed? The pairings might sound outlandish: Comcast and Vice?! Comcast and BuzzFeed?! 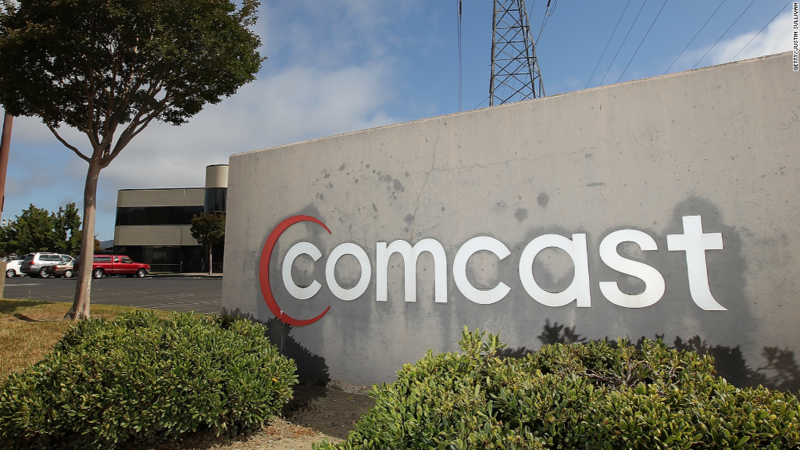 But the deal talks between Comcast (CCV), the cable giant, and several darlings of new media make a ton of sense. The talks are mostly informal, and it's possible that none of the deals will pan out. But the mere existence of the talks, reported by the Wall Street Journal on Thursday, got a lot of people talking. What we're seeing is the gradual blurring of the boundaries between television and the Internet. Some digital startups are interested in taking their acts to TV and some old media outfits want and need to learn new media tricks. "There are many two-way streets here," a person with direct knowledge of Comcast's deliberations said. The Journal named four companies involved in the discussions: BuzzFeed, Vice, Business Insider and Vox Media. Comcast already owns roughly 14% of Vox and is interested in increasing its stake, according to the person who spoke on condition of anonymity. Most of the other conversations have been between the digital media companies and Comcast's NBCUniversal division, which includes an array of cable channels, a movie studio and a panoply of web sites. In some cases the startups have approached NBC, looking for a partnership or some other sort of deal, two sources said. (The companies all either declined to comment or didn't respond to requests for comment.) Some analysts expect that venture capital-backed digital heavyweights will increasingly be looking for exit strategies to cash out. Comcast's interest in talking to the sites indicates, among other things, an eagerness to reach young, web-savvy audiences. Its bid for Time Warner Cable (TWC) collapsed in the spring, but the cable giant has money to spend and no shortage of people to talk with. Vice Media: Vice, which already has a wide ranging TV deal with HBO, has made no secret of its desire to have a whole television channel to call its own. A deal with A&E Networks is reportedly faltering; if that's the case, one of NBCUniversal's many cable channels could be appealing. Vice has a large number of investors, including one of Comcast's chief programming rivals, 21st Century Fox (FOX). BuzzFeed: Its ambitions are practically Comcast-sized. BuzzFeed has a Hollywood studio that wants to challenge NBC's Universal studio and a newsroom that already competes online with the likes of NBC News and MSNBC. But competitors often times collaborate, and there's a lot the two brands could do together. CEO Jonah Peretti has recently talked about his interest in having BuzzFeed on television, a medium NBC has pioneered for decades. Comcast could also seek to buy a piece of BuzzFeed so it can learn more directly from what is perhaps the most-buzzed-about player in the media-for-millennials space. NBC's websites might benefit from BuzzFeed's content management system and branded content technologies. Business Insider: The news and aggregation site, led by Henry Blodget, has entertained acquisition talks in the past. Short of an outright sale, maybe Business Insider could help energize CNBC's website? Vox Media: Vox depicts itself as the Time Inc. of the digital age, a collection of titles like The Verge and the recently-acquired Re/code. CNBC already has a partnership with Re/code. The Journal reported that "Comcast has been impressed with the sleek technology they use to publish articles."